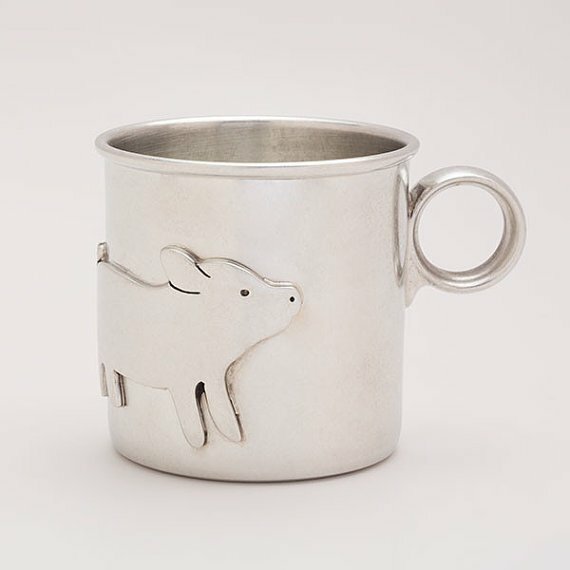 This unique and elegant pig baby cup is the perfect keepsake gift for babies and toddlers! Each heirloom quality cup is beautifully handcrafted from lead free pewter and then hand polished until it shines. Your cup will arrive in an adorable gift box. Measures 2-1/4 inches tall. Please hand wash.